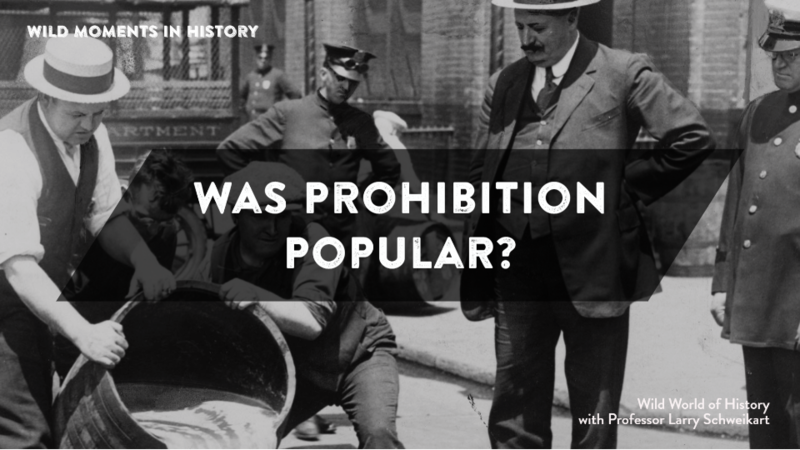 Did you know that Prohibition was extremely popular when enacted? A common view of Prohibition was that it was an unfair law passed by a bunch of pietistic Southern Baptist preachers. People conveniently conflate the reaction to Prohibition, years later, which resulted in its repeal, with its original popularity. Consider: Prohibition was a Constitutional Amendment, the Eighteenth Amendment. This was not easy to get. The Constitution provides that an amendment may be proposed either by the Congress with a two-thirds majority vote in both the House of Representatives and the Senate or by a constitutional convention called for by two-thirds of the State legislatures. Such an amendment must be ratified by three-fourths of the states. This was an extremely high bar. “Temperance” had been a political issue since Lincoln’s time. States had viewed “demon run” as a severe social problem, but most states passed liquor and saloon restrictions prior to Prohibition. Prohibition later failed, in that it was extremely difficult to enforce, but also because elites began to flaunt drinking laws as a sign of rebellion. However, there was no “crime wave” brought on by Prohibition. The homicide rate, which rose fairly steadily from 1910 (before Prohibition) hit a plateau in the 1920s and didn’t fall until the mid 1930s. Instead, John Burnham wrote, “Apparently what happened was that in the 1920's the long existent ‘underworld’ first became publicized and romanticized.” But it’s worth noting that by definition crime rates had to increase under Prohibition because liquor-related crimes were not crimes prior to the Volstead Act. J. C. Burnham, “New Perspectives on the Prohibition ‘Experiment’ of the 1920s,” Journal of Social History, 2 (1968).